In the prelude of the recent SpaceX successful launch for Iridium, The Wall Street Journal released a story analyzing SpaceX’s financials and internal growth projections. While the historical figures presented seem reasonable, the article included several shocking statements from SpaceX, most notably the forecast of more than $30 billion annual revenues by 2025 for the nascent satellite Internet constellation project. Are these assumptions realistic? One must not forget that public communications are part of a company’s strategy. What, then, are the implications for the satellite industry? How Much Is $30 Billion In Revenue? It is sometimes difficult to assess a number without any appropriate reference—let’s start by surrounding this projection with some context. While it is not clear at all what is included in those projections (end-user terminals, satellite raw capacity, end-to-end service…), we could start by comparing them to the industry’s capacity revenues. 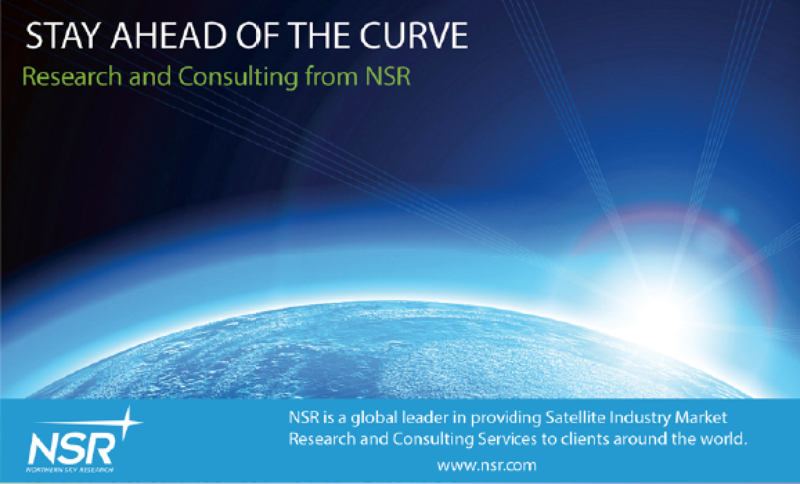 NSR’s Global Satellite Capacity Supply and Demand, 13th Edition report assesses satellite capacity revenues to have been $13.8 billion in 2015 and forecast them to reach $19.7 billion by 2025. One must consider, however, that a great proportion of these revenues come from video-centric applications, which does not seem to be the target for SpaceX constellations. Even considering end-user terminals and service revenues, SpaceX’s projections for its own revenues are higher than previous forecasts for the entire data-centric applications market. 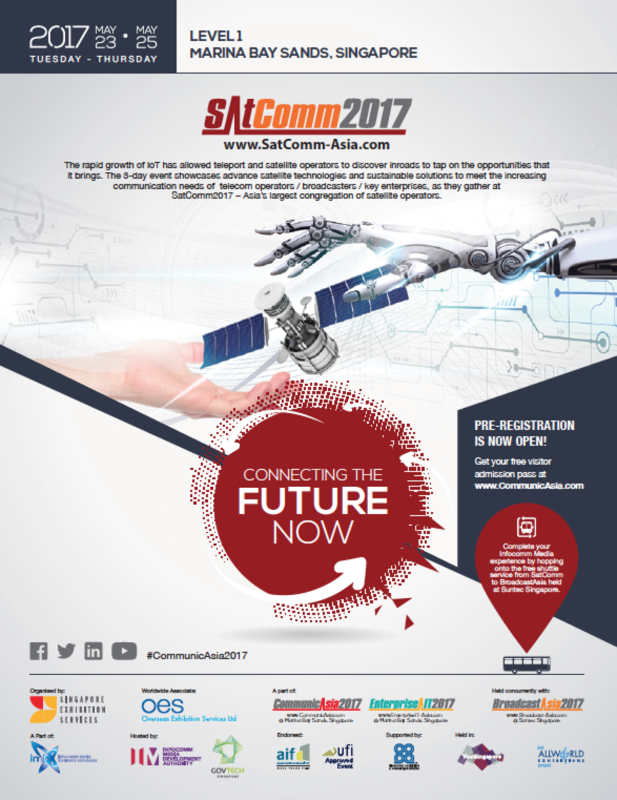 Opening the focus a bit more, at the end of the day, the SATCOM industry is just a part of the greater telecommunications industry. How do SpaceX’s projections compare to the size of the greater telecom industry? 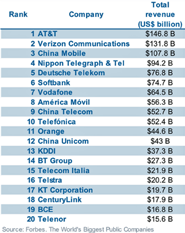 If the revenue projections were met, SpaceX would enter the Top 20 list of largest telecom operators after just a few years of operations. Assuming the constellation is launched within the 2019 to 2020 timeframe (let’s keep the discussion simple and assume all technical challenges are solved), the SpaceX satellite Internet business would become the fastest enterprise ever to cross the $1 billion benchmark after entering commercial operations (WSJ article assumes ~$3 B revs in 2020). To date, the company that broke the $1 billion revenues barrier the earliest is Groupon, followed by a number of dotcom companies, all of them requiring more than two years to attain that revenue milestone. While SpaceX can already start working on selling capacity, the scalability of the business model is much more arduous than most dotcom businesses. Now that we have in context the magnitude of the challenge to reach the forecasted level of revenues, it is time to consider what the steps might be to get there. WSJ’s article notes that SpaceX expects to attract over 40 million subscribers by 2025. The largest satellite Internet network today is operated by HughesNet, which has slightly above one million subs after nearly a decade of operation. Combining ViaSat’s Exede and HughesNet, the year with the highest number of new subscribers was in the 300 to 350,000 range, which hints at how difficult it is to build the distribution channels for this kind of service. Of course, inexpensive, self-installation terminals and a global operation infrastructure could accelerate service take-up, but it appears very difficult to reach the 40M installed base in just five years. Compounding all of the above, one must not forget regulatory barriers, as SpaceX would need to pursue landing rights in each and every country it wants to operate. 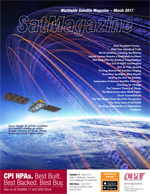 While the addressable market for unconnected and under-connected households is still massive—NSR’s VSAT and Broadband Satellite Markets, 15th Edition report estimates 471 million households could potentially be connected—the majority of those are in low-income countries where it is challenging to close the business case, and where ARPU levels will be very small. Would a subsidy model work in those locations? Taking as a reference internet.org’s experience, after three years of operations, it has 40 million free Internet users. Facebook, (which, by the way, remains under the $30 billion annual revenue benchmark) generates around $12 per active user per year. What fraction of this revenue can be diverted to subsidize connectivity? Can this model be sustainable for SpaceX and the party willing to subsidize the connectivity? What scale would be required to generate the expected level of revenue for SpaceX? Other satellite communications verticals certainly provide meaningful opportunities, but to achieve such volumes, the bulk of the market needs to come from consumer-oriented products (being through direct connectivity or through aggregation points). Verticals, such as aero connectivity, will grow very fast, but even in this scenario the contribution to the total expectations will be small. 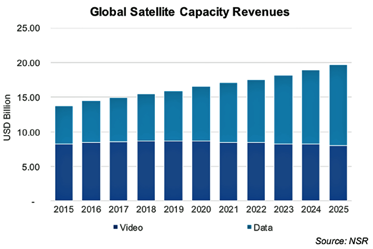 In Aeronautical SatCom Markets, 4th Edition, NSR forecasts total satellite capacity revenues (for the whole industry) under $1 billion by 2025 and approaching airframes addressable market saturation. 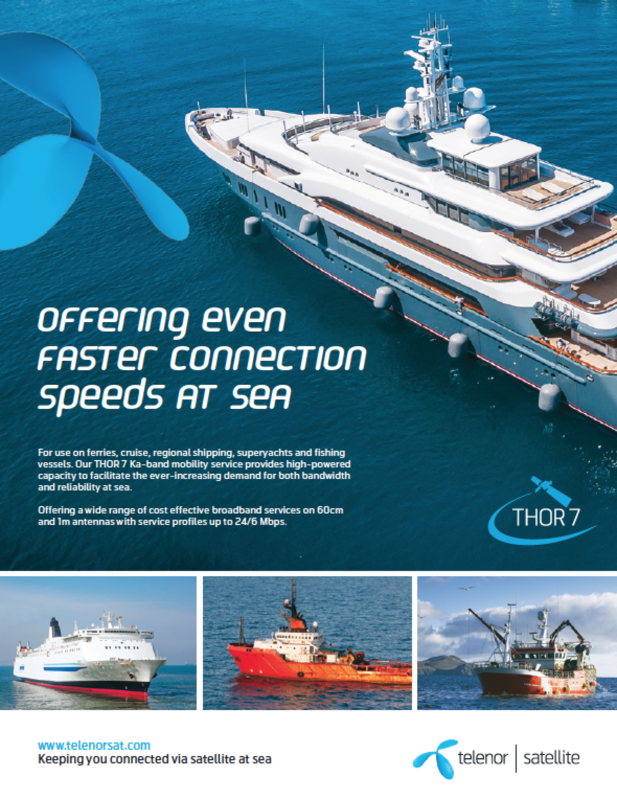 Similar trends could be seen for maritime, with capacity revenues also under $1 billion by 2025 (MSM4). Other new applications such as High-Frequency Trading might also emerge with new capabilities of LEO constellations, but it seems difficult to see those being the main source of revenues. If we assume that most of the constellation demand will come from land areas (e.g., total aero and maritime addressable markets are relatively low compared with the revenue projections), that means that ~3/4 of the time, the satellites would be idle/over water. SpaceX announced capacity of between 17 and 23 Gbps per satellite—taking an average of 20 Gbps, multiplying by the number of satellites, and considering that they are used just 25 percent of the time, we could estimate effective available land-based capacity. Dividing the $30 billion revenues by this effective available capacity, one gets average capacity pricing in the range of ~110 USD/Mbps/Month. NSR is aware of contracts for consumer broadband in Europe and Middle East being signed today at under $200 USD/Mbps/Month. These prices will presumably continue to decline. Will the difference in pricing between architectures be so big to justify such elasticity in capacity requirements and revenues? The best way to predict the future is building it—NSR would be pleased to see the satellite industry growing to the levels forecasted by SpaceX, as it would be beneficial for everyone. While it is true that forecasting revenues for such innovative ventures has a significant level of uncertainty, NSR nonetheless believes the $30 billion revenue projection is too optimistic, no matter what assumptions are made, and could stoke unrealistic expectations that could undermine the industry’s credibility. One must also consider that SpaceX are masters of strategic communications and have repeatedly made extravagant announcements to push analysts, the financial community, the industry and employees in its favor. It is its CEO managing style, the day after he announced a totally unrealistic schedule and sales target for Tesla’s Model 3, auto analysts universally moved their own estimates up satisfying what probably was the original goal, shifting the paradigm. SpaceX has said quite clearly that the company plans a step deployment of the constellation, starting commercial operations with a “modest” 800 satellite constellation (compared with the 4,420 of the full deployment), which hints at the venture having different growth scenarios with more reasonable assumptions. When analyzing SpaceX projections, being an investor, a competitor or an industry watcher, one must not fall into this expectations trap. Otherwise, the industry’s credibility will be at risk. Lluc Palerm joined NSR as an analyst in 2015. His primary areas of work are satellite capacity supply and demand as well as applications with a particular focus on emerging opportunities. Mr. Palerm contributes to several multi-client reports while engaging in customized consultancy projects. Prior to joining NSR, Mr. Palerm worked at Zero2Infinity in technical and business roles. While involved in the startup, he worked in the mission analysis for the company’s microsat launcher project and lead the development of a rocket engine prototype that tested successfully. He also contributed to the project’s business plan with market research and financial assessment. Lluc undertook fund raising efforts and built the positive relations with customers.